Explanation: As planet Earth approached the plane of the Comet PanSTARRS (C/2011 L4) orbit on May 23rd, comet watchers were treated to this view of its magnificent anti-tail. 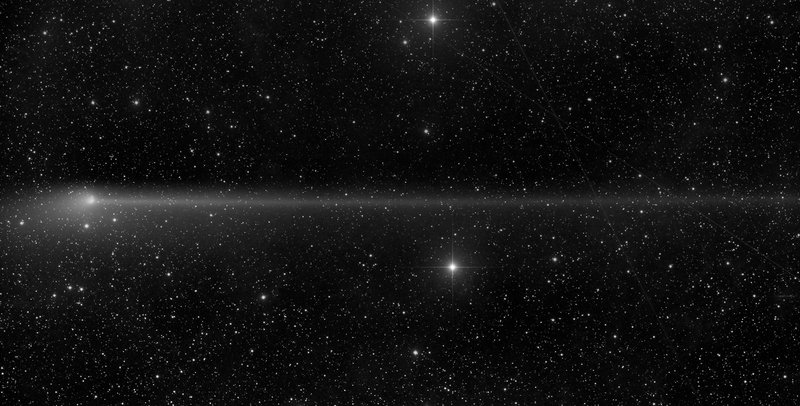 The long, narrow anti-tail stretches to the right across this frame for nearly 4 degrees or about 8 times the angular size of the full Moon. 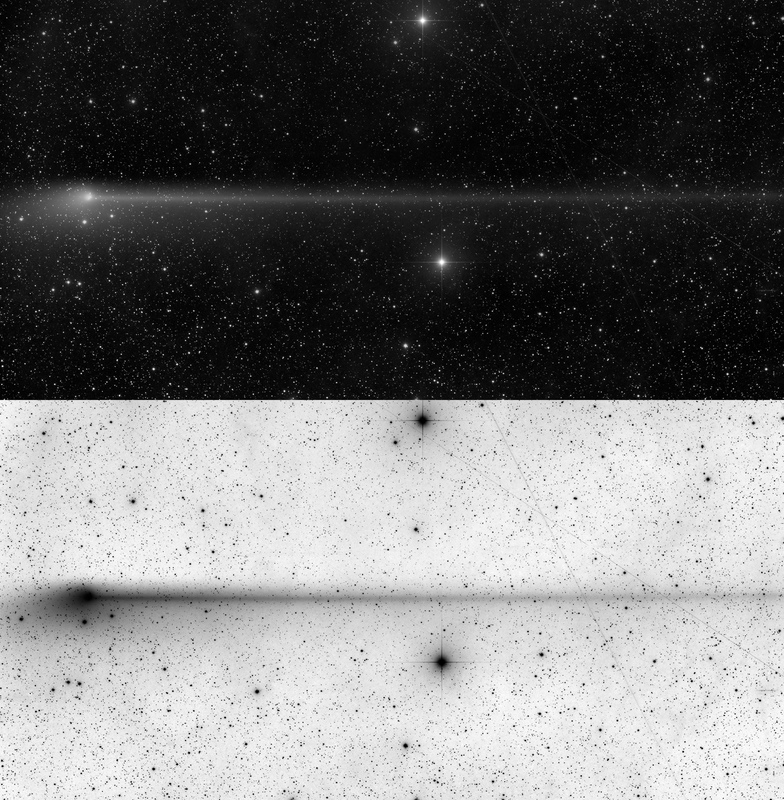 Dust forming the anti-tail trails along the comet's orbit as it leaves the inner solar system behind. An almost edge-on perspective from near the outbound comet's orbital plane enhances the view of the anti-tail and makes it seem to point in the sunward direction, only apparently contrary to the behavior of comet dust tails pushed outward by the pressure of sunlight. Sweeping far north in planet Earth's skies, the comet is up all night for most of the northern hemisphere, but now bright moonlight interferes with its visibility. PanSTARRS anti-tail is one of the longest since the appearance of Comet Arend-Roland in 1957.